Magnetic liquid level gauges are an excellent alternative to sight glass level gauges for many process measurement applications. Their reliable performance and adaptability has made them the primary choice in a wide variety of industrial settings. Essentially, a magnetic level gauge or magnetic level indicator, is a sight glass with enhancements that provide better readability and a form factor that enables the inclusion of additional level monitoring functions on the same device. Where a sight glass requires operator proximity to read liquid level, the magnetic level gauge's indicating scale, or flags, can be clearly viewed from a considerable distance. A sight glass gauge can also be hindered by difficulties in visually determining liquid level because of deterioration of the glass surface or properties of the liquid. 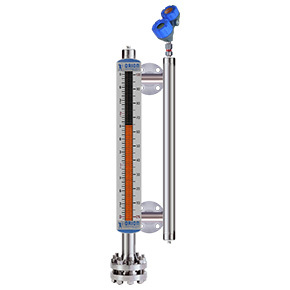 Magnetic level gauges remove the need to observe the liquid directly by incorporating a float device within a tube connected to the liquid containing vessel. As the float moves in response to liquid level changes, its magnet causes the indicator flags on the scale to rotate and display either a black face to indicate no liquid present, or a colored face. 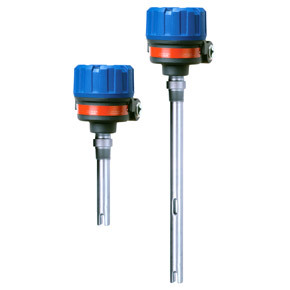 Magnetic level indicators are available with numerous options, including armored casings to protect the tube and float arrangement and limit switches to signal the attainment of specific level conditions. Combining a MLI with another level measurement technology, such as guided wave radar or magnetostrictive, can provide an analog process signal representing liquid level and serve as a redundant measuring device for critical applications. The document included below provides illustrated detail about the devices and their proper application. Share your process measurement requirements and challenges with instrumentation experts. The combination of your process knowledge and their product application expertise will produce effective solutions. Magnetrol Orion Magnetic Liquid Level Indicators from Miller Energy, Inc. Requirements for safety regulation compliance continue to grow. Business operators want increased levels of risk aversion and contingency management. In industrial settings where fluids are processed or stored, meeting these goals calls for new layers of protection and redundancy for existing layers. Tank overfill is a serious concern of any fluid processor. Providing multiple methods of measuring tank or vessel fluid level provides substantially greater assurance against overfill. One scheme involves using a continuous level measurement instrument, such as guided wave radar, to provide the real time tank level signal and an ultrasonic level switch as a tank overfill indicator. The operating principal of an ultrasonic level switch is quite simple. A transducer sends an ultrasonic pulse across a gap. When liquid media is present in the gap, the sound wave is transmitted with little attenuation across the gap and detected. When liquid media does not fill the gap, the sound wave is strongly attenuated and fails to transmit across the gap. Tuning fork level switches are commonly applied as the overfill detection device, but Magnetrol, a recognized global innovator in level measurement, feels they have a better solution with their Echotel® ultrasonic level switches. The video below provides an illustration of how the ultrasonic level switches can be applied, as well as a comparison between ultrasonic and tuning fork methods. Share your level measurement requirements and challenges with a product application specialist. The combination of your process expertise and their product application skill will produce an effective solution. Pressure transmitters are generally fixed in place, but require regular access for calibration and operational testing. 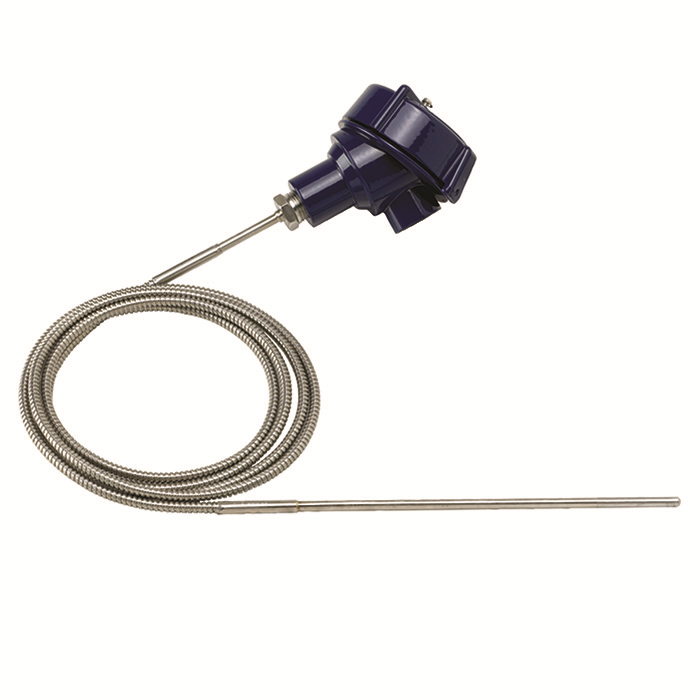 Unlike instruments used to measure some other process conditions, a pressure transmitter is directly connected to the process, making it's removal problematical. Manifold valves provide a compact and effective means of access and isolation needed to perform regular maintenance and calibration operations while maintaining the pressure transmitter in place. 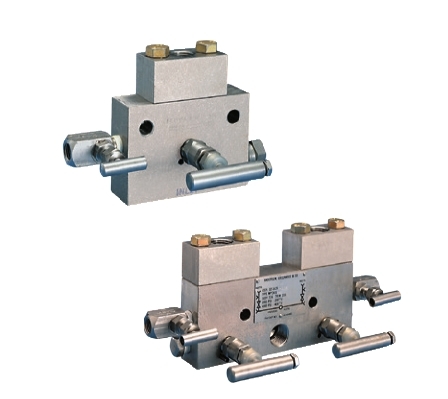 A single pressure transmitter or gauge can be served by a simple 2-valve manifold. One valve provides isolation of the instrument from the process. The second valve opens to atmosphere on the instrument side of the isolation valve. This allows the pressure transmitter or gauge to be isolated from the process and connected to a calibration source. 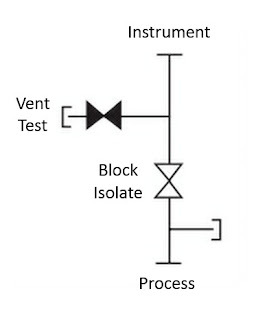 Here is a schematic example. Certainly, any qualified technician can cobble together this arrangement from a pile of valves and fittings. The advantages of using a manifold valve are several. There are numerous manifold valve configurations to accommodate any valve and gauge requirement. Manifold valves can also be used in other applications for making effective and convenient connection arrangements between instruments and processes. Share your connectivity challenges and requirements with process instrumentation specialists, combining your process knowledge with their product application expertise to develop the best solutions.